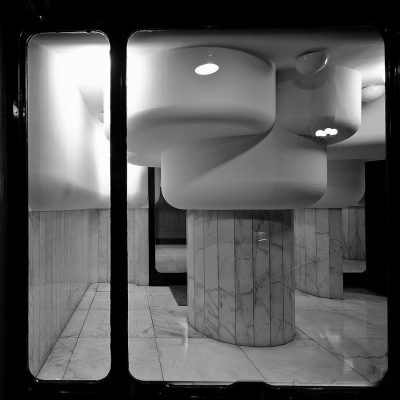 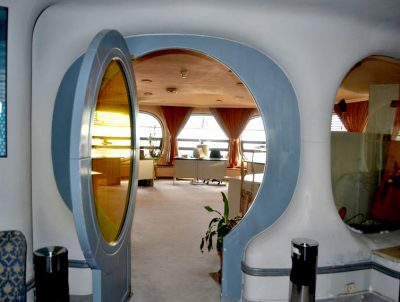 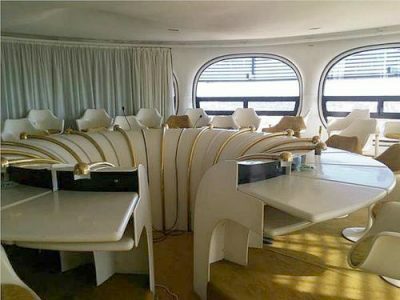 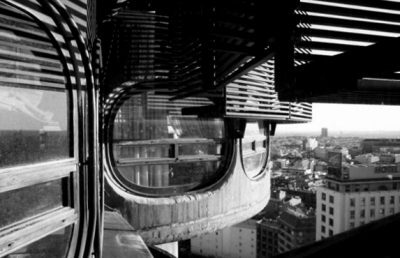 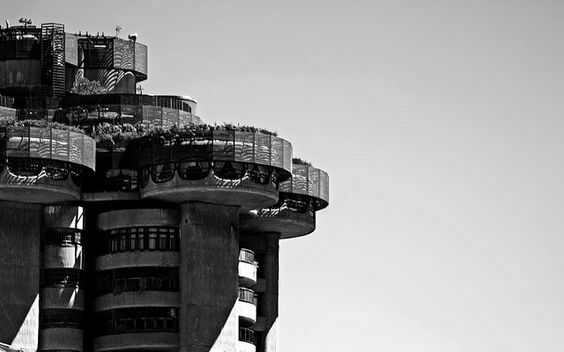 Torres Blancas apartment building in Madrid is an extraordinary fusion of the Brutalist and Organic styles built in 1968 by the architect Francisco Javier Sáenz de Oiza in conjunction with the forward thinking construction firm of Juan Huarte. In the 60s architects espoused a tougher, more uncompromising aesthetic which revelled in exposed materials and surfaces. 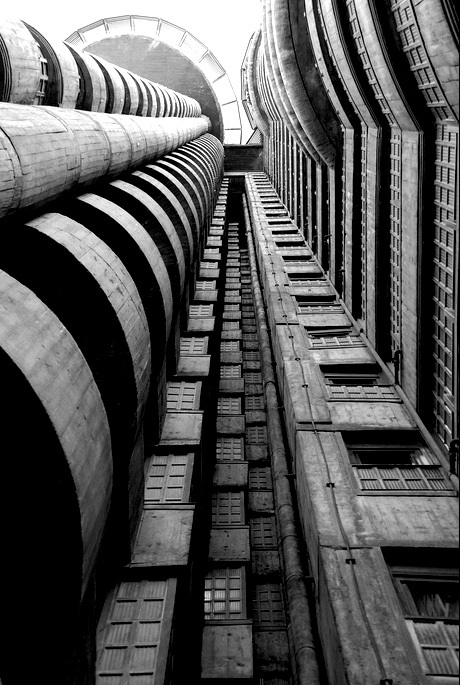 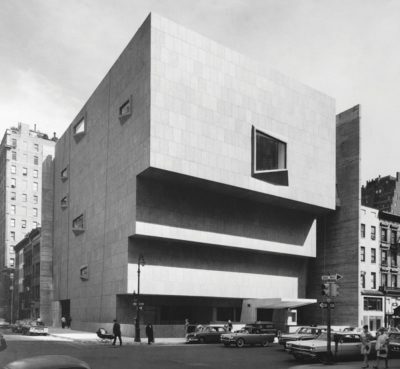 Brutalism is a style marked by its use of concrete for its raw and unpretentious honesty, contrasting dramatically with the highly refined and ornamented buildings constructed in the elite Beaux-Arts style. 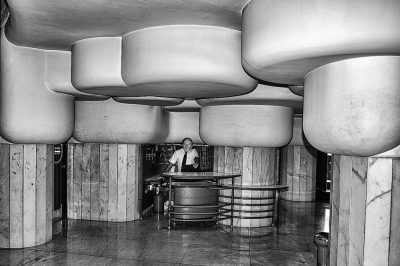 Surfaces of cast concrete are made to reveal the basic nature of its construction, revealing the texture of the wooden planks used for the in-situ casting forms. 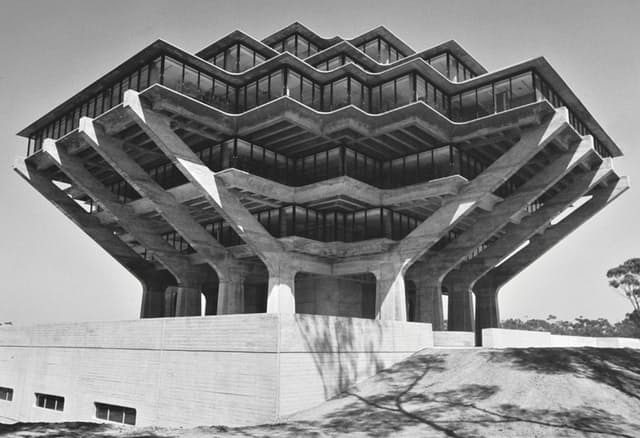 (Geisel Library, University of California, San Diego, California, USA, 1970 by William Pereira & Associates. Courtesy University of California, San Diego). 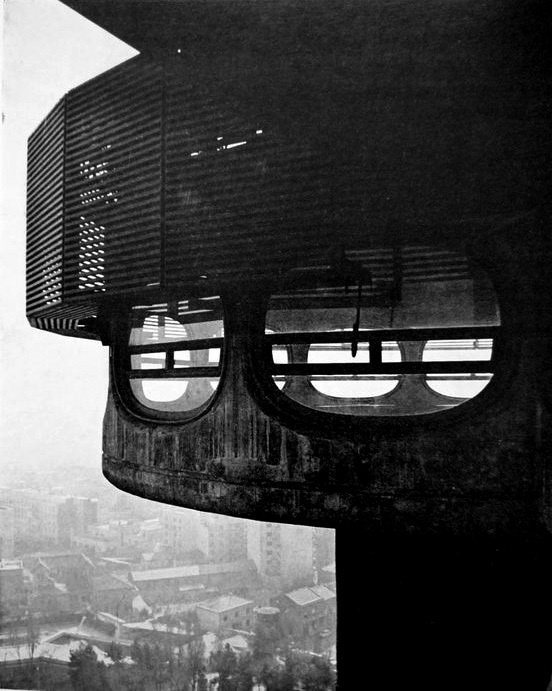 Like Modernism, Brutalism was driven by idealism and by technology. 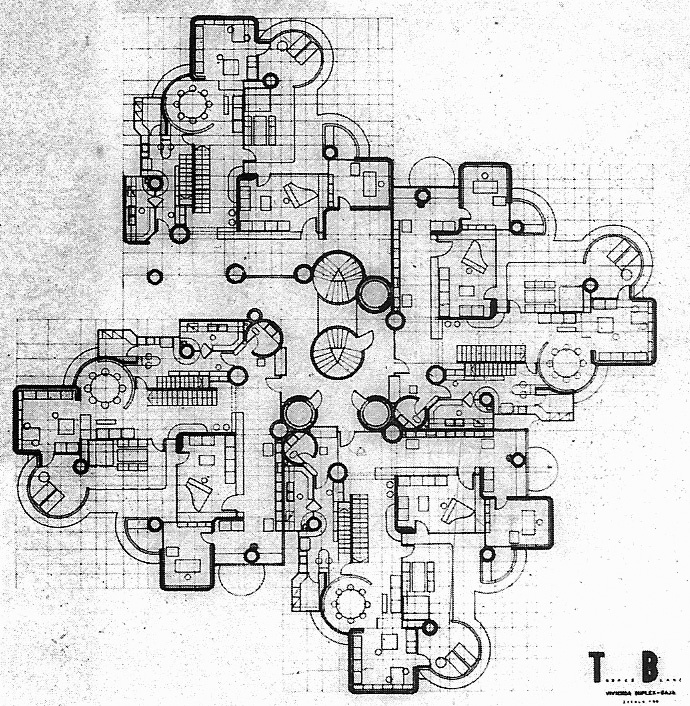 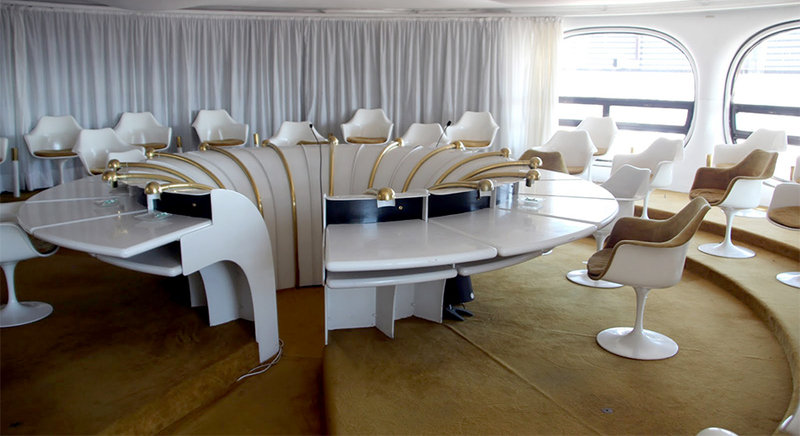 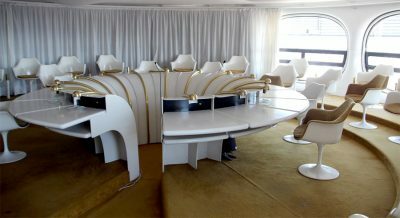 But Unlike Modernism, it also had a raw, unrestrained quality. Another common theme in Brutalist designs is the exposure of the building’s functions—ranging from their structure and services to their human use—in the exterior of the building. (Whitney Museum of American Art, New York, New York, USA, 1966 by Marcel Breuer and Associates). 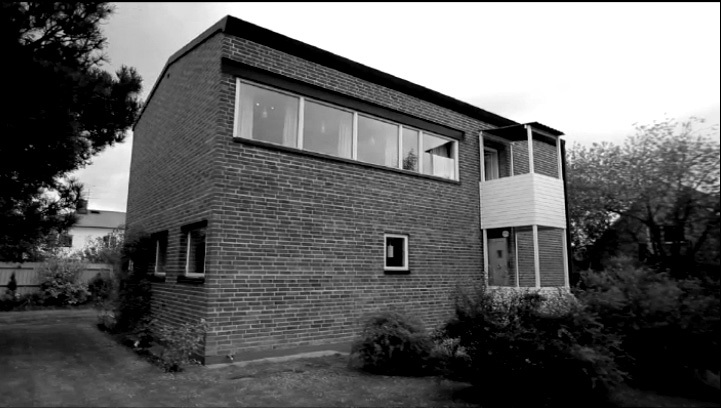 The term “brutalism” was originally coined by the Swedish architect Hans Asplund to describe Villa Göth in Uppsala, designed in 1949 by his contemporaries Bengt Edman and Lennart Holm. 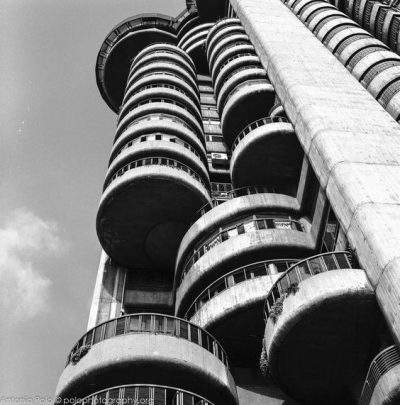 But the term gained wide currency when the British architectural historian Reyner Banham used it in the title of his 1966 book, The New Brutalism: Ethic or Aesthetic. 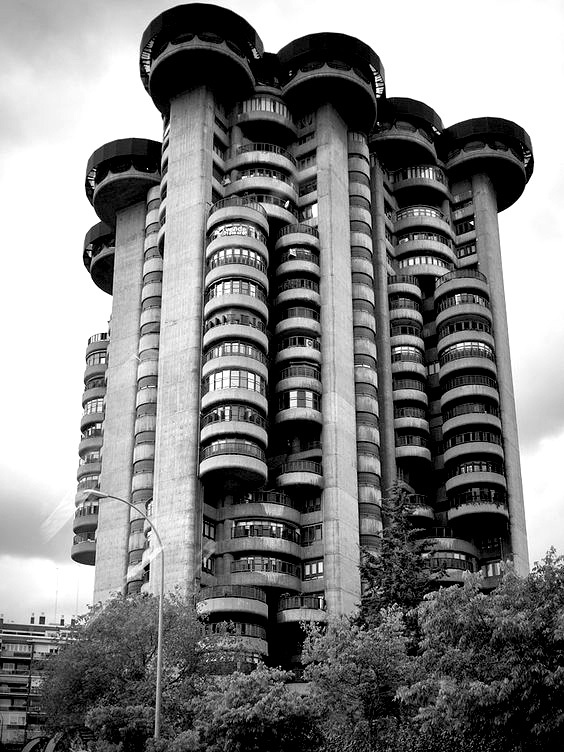 Conceived in 1961 ,Torres Blancas, are Brutalist in their imposing concrete presence yet Organic in their very tree-like aspect. 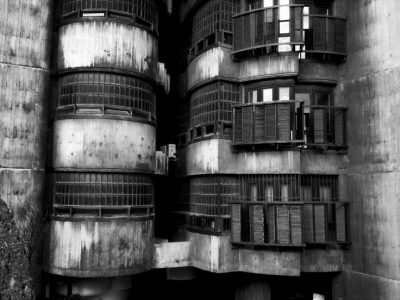 The towers have a cylindrical appearance and the circular balconies and apartments seemingly grow from the ‘trunk’ like mushrooms. 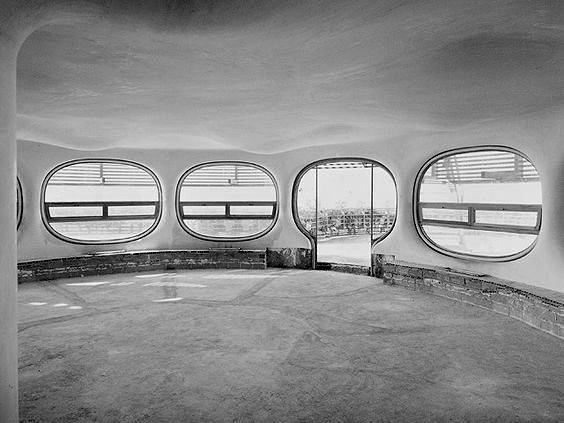 Large circular indentations from the structures above invade the space like giant cheese rounds. 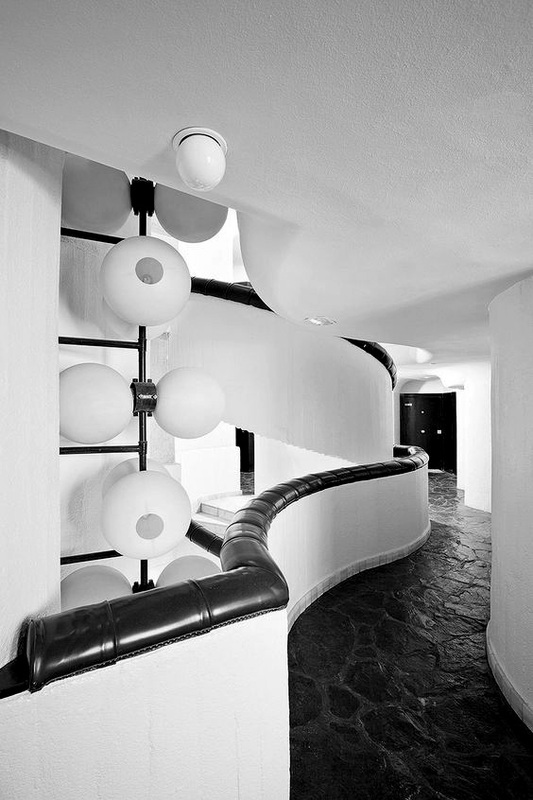 The staircase, unsurprisingly, spirals up all the way to the roof, a space that comprises a communal living area with gardens and a pool.